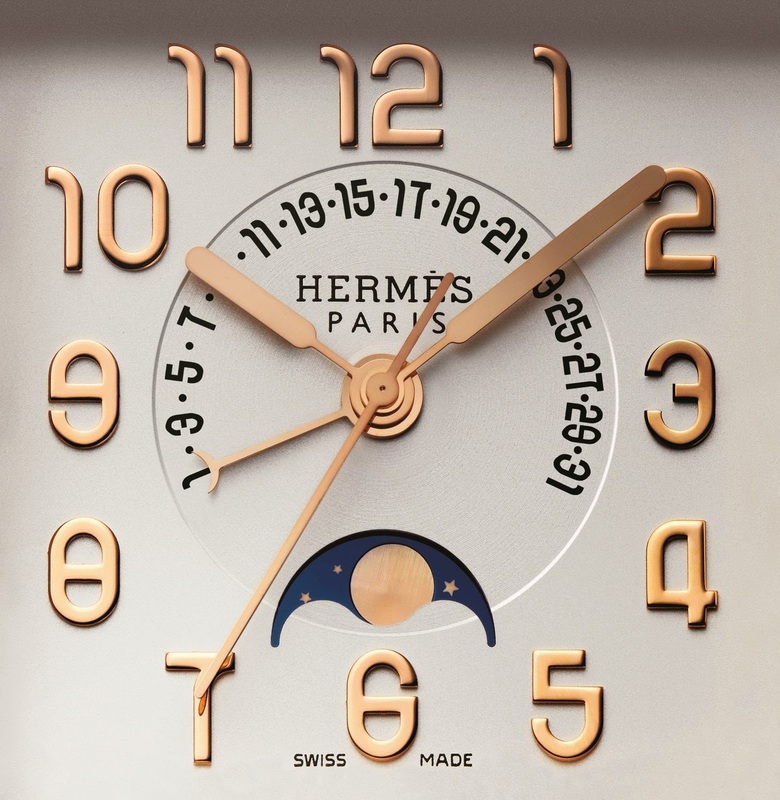 The Cape Cod Moon Phases watch was launched in 2007 in limited editions (Rose gold and white gold) that are numbered and issued in respective series of 170, corresponding to the number of years that have elapsed since the founding of Hermès in 1837. 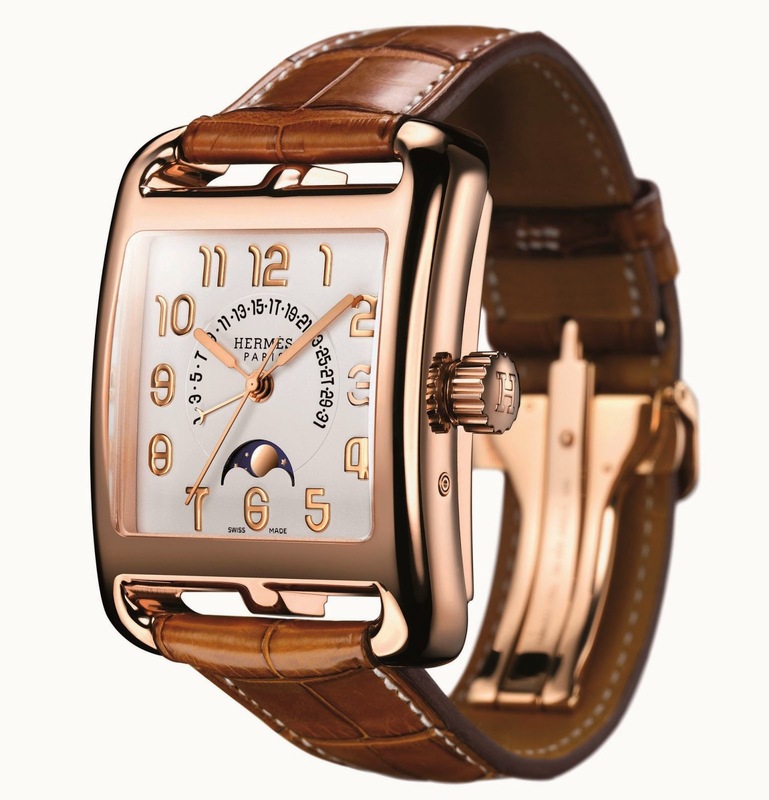 In this exceptional timepiece, through a dedicated aperture at 6 o’clock, the Moon displays its phases with astronomical accuracy for a full 122 years and 46 days before the first one-day correction is required. Meanwhile, the date is shown by the retrograde date hand moving over a 225° segment graduated from 1 to 31 days. Upon reaching the last day of the current month, the hand returns to its point of departure, on the figure 1 of the first day of the following month. 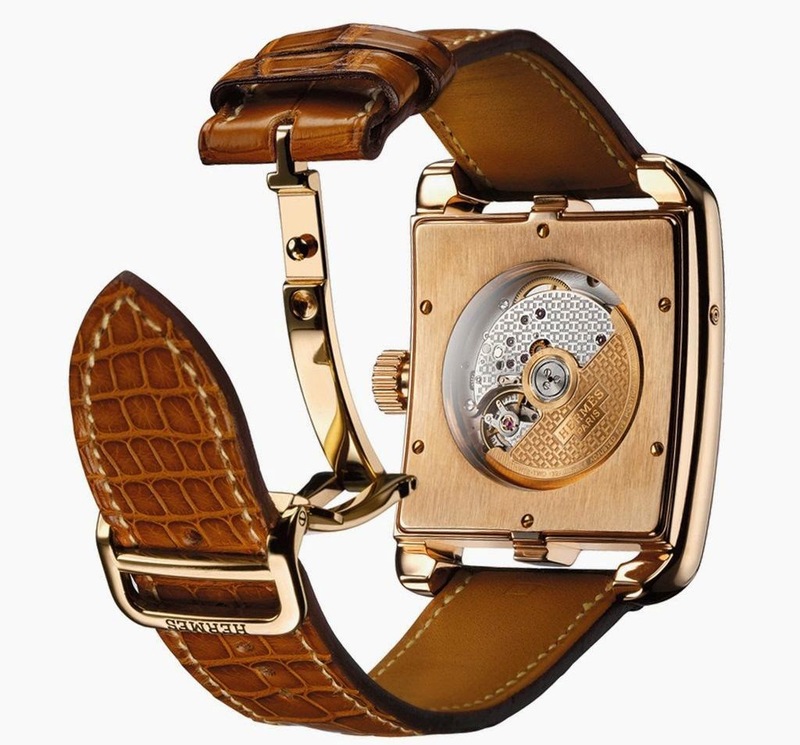 The mechanical self-winding movement is continuously wound by the natural motion of the wrist. The Vaucher Manufacture Fleurier Calibre H 1929 that ticks inside this watch provides a 55-hour power reserve thanks to two series-coupled barrels.